For everyone who's ever wanted to watch Brian Williams rap "Rollout" by Ludacris: you’re in luck, because that day has arrived. It all started with Williams' latest appearance on "The Tonight Show Starring Jimmy Fallon." As part of their viral video series featuring the "Nightly News" anchor in the role of "gangster rapper," the show aired a music video of Williams "rapping" Snoop Dogg's "Gin and Juice." "You've done this to me now seven times," Williams told Fallon. "I would like some pride of authorship ... Any Luda would be great. I'll do 'Rollout.'" On Thursday, this version appeared on PorterHouse Media's YouTube channel. The company is not affiliated with NBC News. The compilation took about six hours to produce, according to Jessica Pertuz, general manager at PorterHouse Media. "We loved the other ones and we thought of doing it for fun," she said. 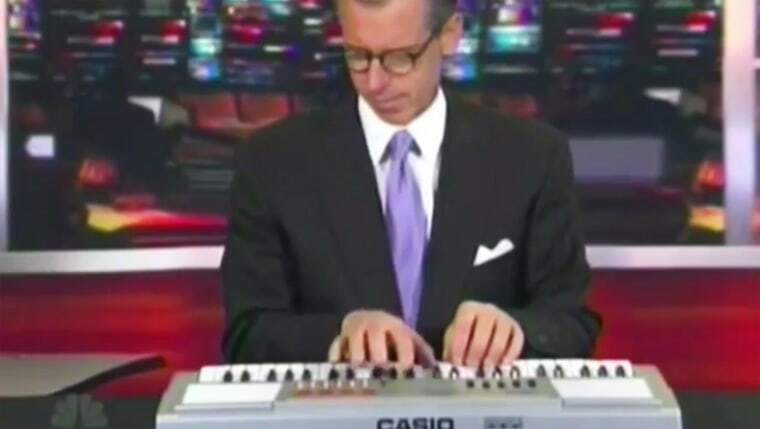 "We couldn't resist when we saw Brian Williams request Luda." It seems we can all agree: when it comes to "Brian Williams Raps," there's never too much of a good thing.